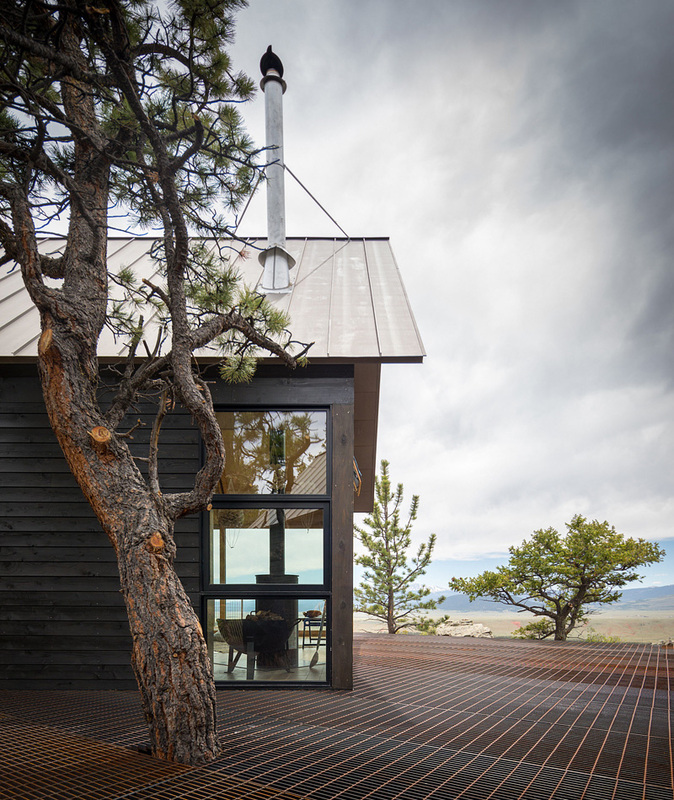 Comprised of a pair of cedar-clad structures, Big Cabin | Little Cabin by Renée del Gaudio Architecture reimagines the vernacular architecture of Colorado’s Rocky Mountain region. 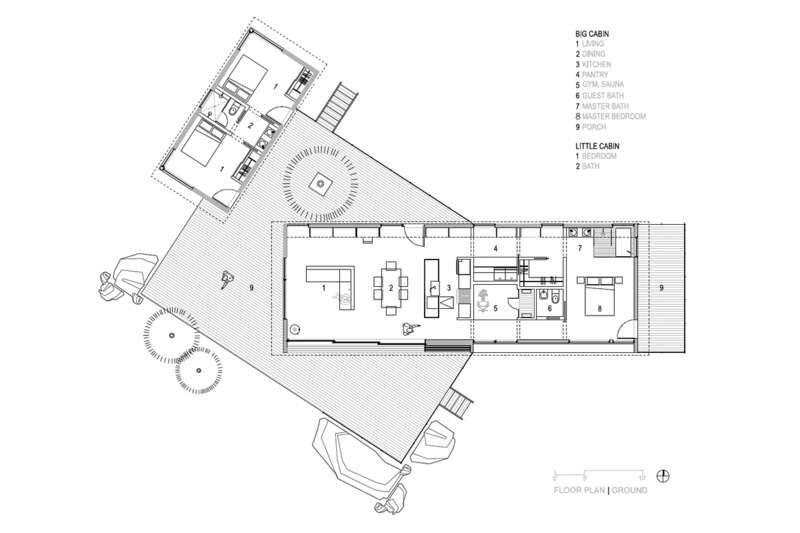 The two building are reminiscent of traditional cabins with gabled roofs and timber siding. The dark facade mimics the surrounding forest while a plywood-lined interior compliments the rustic palette. 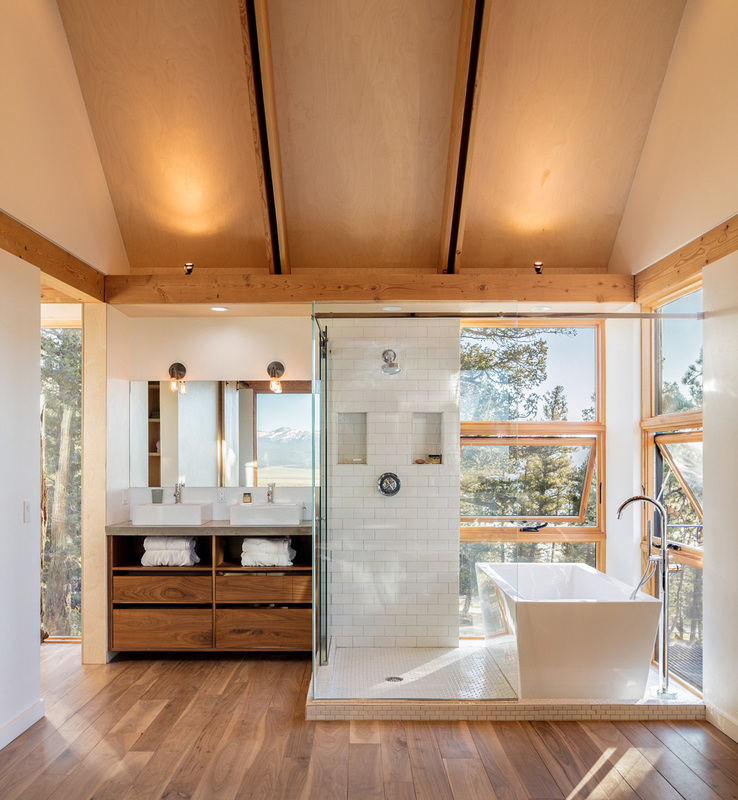 Perched on a rocky cliffside, the interior is exposed to sweeping views ranging from the Sangre de Cristo peaks to the South Platte River, courtesy of expansive floor-to-ceiling glazing. And don’t forget to check our list of the most beautiful wooden houses.